‘Tis the season to give feedback – but what is feedback? If I were to ask you to give me a definition of “feedback,” what would you say? The words “criticism,” “remark” or “response” would most likely be in your answer. In truth, feedback is defined as “an essential skill in interpersonal communication.” A person’s success (or lack of it) is dependent on their interpersonal skills, in all kinds of relationships. The term “feedback” is often used in technical environments. 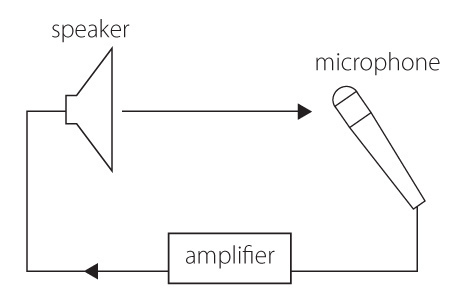 For example, a signal received by a microphone is amplified and passed out of the loudspeaker. The sound from the loudspeaker can then be received by the microphone again, amplified further, and then passed out through the loudspeaker again. Likewise, in two-way interpersonal communication, the term “feedback” denotes the way a message from a sender impacts on the receiver. Therefore, it is important to give feedback in all types of relationships. According to an article on hubpages.com, “The importance of giving effective feedback comes from the concept of self-esteem, which in turn is the value we place on our own self-images. We all carry around within ourselves a picture of who we are – I have a picture made up of all the responses I get to what I do and say in my everyday life. I say things to my wife and she responds. I communicate by email to a colleague and I get an answer. These responses are all clues to how the other person is experiencing me, and from these clues, I build up a picture of who I am.” This goes to show that when you give feedback, it’s important to take into account how you will give it, and what kind of perception they will have about themselves. When you give feedback in the workplace, whether it’s to your boss, an employee or a colleague it is important to give feedback in a way that makes it clear to both parties. Feedback must be properly communicated, as to avoid giving the person a detrimental image. This also goes for when a customer gives feedback to a company about a product. It’s important for the company to receive clear feedback in order to be able to develop the right product that satisfies customer’s needs. With OneDesk, employees and customers can submit feedback about a company’s product or service directly to your company. To assure that the feedback is clear, you can monitor and join conversations regarding product feedback, clarify them, and ensure that your product’s image is improved and satisfies customers.